Photos are of a two lamp unit. 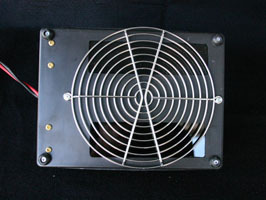 Single lamp units will have a single on/off switch and the underside will display a single pane of glass for the light. A cigarette lighter plug for 12 volt will be used to supply power to the unit. You can purchase a converter to adapt the 12 volt to a 110 power cord. Triple light units will have three panes of glass and three on/off switches on the top. Lamps: 9 watt short wave.